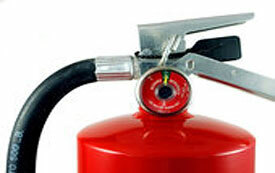 D&M Fire Safety is an authorized distributor of fire extinguishers, fire suppression systems, and other fire related products manufactured by the biggest and best brand names in the industry. 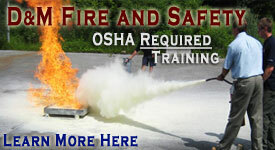 Our people are trained in the design, installation, and service of these fire protection and suppression systems. Amerex Corporation has been providing quality and innovative fire fighting products for over 30 years. 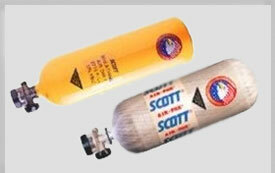 Amerex is recognized worldwide as a leading hand portable and wheeled fire extinguisher manufacturer. Offers pre-engineered automatic restaurant fire suppression systems, vehicle fire suppression systems, industrial systems and fire detection devices. Pyro-Chem is a leading fire equipment manufacturer, offering a comprehensive line of fire protection products for commercial and industrial applications. Each is designed and manufactured to the highest standards. When a stove-top fire occurs the sensor will activate at a pre-set temperature and signal the main CPU board. This board automatically sends a signal to release the extinguisher valve assembly, discharging the wet agent and simultaneously activating the CPU mounted alarm. More outputs are available for additional accessories to be utilized upon the system's activation. Each system can also be wired into an existing alarm panel showing system activation. This system is UL and ULC listed with a fuel shutoff and is listed with or without a pull station. JL Industries, a division of Activar Construction Products Group, manufactures a wide range of specialty products for commercial construction, including fire extinguishers & cabinets, metal access panels, roof hatches, smoke vents, skylights, floor mats & gratings, and life safety products. We have been providing our customers a large selection of products for any project for over 60 years. Larsen's Architectural Series is a traditional, value-added line of recessed, semi-recessed, and surface mounted fire extinguisher cabinets. These units are designed for all types of buildings and are equipped with the conventional door styles. The standard door and trim material is steel, and optional materials include both aluminum and stainless steel. All doors are 1/2 inch thick and open 180 degrees. All doors have a satin finish pull handle with a self-adjusting roller catch; and a continuous piano hinge constructed of material which matches the door and trim.